I wrote this post on my Farsi blog a few days before. It had wide reaction from Farsi readers in Afghanistan, Tajikistan and Iran. A new blogger friend of mine Jad Iqbal has already translated this post on his blog for his readers. I just did little changes and added to it and thought it would be good to share it with my English readers here too. I wrote a number of posts about BBC Persian, specifically about BBC Afghan service. As a permanent visitor for BBC websites, I would like to share my understandings and critics on BBC works in Afghanistan, especially after September 11 that BBC Radio had a dramatic decrease in the number of listeners. As a member of Afghan media family, it has always been important to observe how the media reflect the events in my country. As media was my favorite field for the past years, i would like to write more about Afghan media and its current condition. 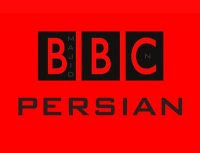 With 8 hours of varied programs a day, including news, analysis, documentaries and general entertainment from the very start, BBC Persian has attracted many viewers in Persian speaking countries. BBC Persian is referring to Afghanistan, Tajikistan and Iran. But here are some initial circumstances that BBC Persian has provocatively and naively spoken about it. First, the people of Afghanistan are mostly living under the poverty line and they don’t have the ability to buy a TV set, let alone to buy a satellite so that they can watch BBC Persian TV. It’s possible that offices in major cities such as Herat and Kabul, and maybe Mazar-e Sharif watch their channel, and there may even be a small number of people who incidentally flick onto the channel. But this does not at all mean that BBC Persian has won over the country to its TV service. Second, BBC Persian TV doesn’t have any entertainment programs made for Afghans, and nor is anyone interested in watching the programs that BBC Persian TV produces and airs for its Iranian audience. There are more than 20 private channels all over Afghanistan that are broadcasting which have both interesting and entertaining programs, and also they have a direct relationship with their local audience. They have live programs on which they get feedback on from their viewers, who are also sometimes participate in debates and other activities lively. For a one-sided channel whose direct audience is only Iran, it is naive and not wise for the BBC to pat themselves on the back and say that they have attracted for lots of viewers in Afghanistan. As far as I’m concerned, such a simplistic belief on the BBC’s part is just laughable. Also about Tajikistan, for the last year, there has been only one reporter who contributed once a month. With this belief that they targeted big audience in Tajikistan they must joked. The people of Tajikistan have enough to access to different channels in old Soviet States. They have better access because they speak Russian. However, they speak Farsi but they use for their writing the Cyrillic alphabets. In addition to this, people don’t have enough to spend their money buying a satellite dish in order to watch BBC Persian TV which its programs don’t relate to the country, its people, its culture and its history. Thus, BBC Persian TV exaggerates and naively deludes not only its viewers but also itself. Since 2002, with the birth of more than hundreds local radio stations, BBC Afghan service has lost its listeners. Not only this reason but BBC Persian service didn’t improve its programs for Afghan listeners. As a matter of fact, BBC Persian Afghan service remained as a traditional radio that lagging behind. Please vote for my pictures in the contest "Why Afghanistan is matter?." You don't need registration, just click on stars.